The Fortune series of knives are tactical offensive fixed blades designed mainly for hand to hand combat. The 420 stainless steel blade will take a very sharp edge and has been hardened to a point where edge holding capabilities out weight the brittle aspects of the steel. 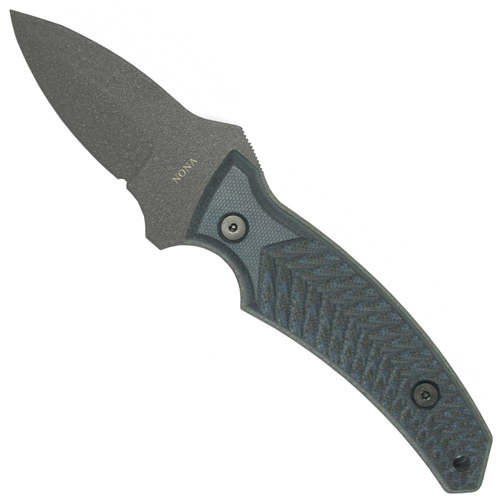 The micarta scales have highly textured grooves and are removable for cleaning or replacement. The spine of the blade features effective jimping and a good finger choil to lock the knife in place during a thrust attack. The knives are manufactured in the USA and come with a black molded sheath.